Join us at the library to watch an INCREDIBLE family of superheroes in their second adventure! 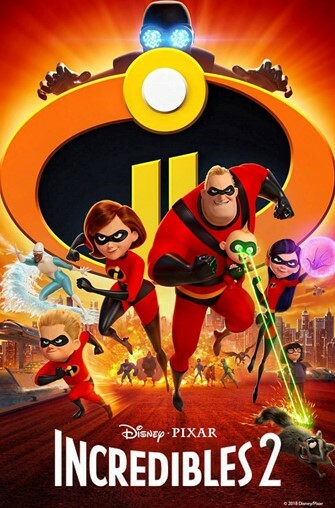 It's Helen Incredible’s turn to step out and try to repair superheroes’ reputation while Bob stays home to take care of their temperamental teenage daughter Violet, energetic young son Dash and delightfully mischievous toddler Jack-Jack, whose superpowers have yet to fully reveal themselves. Please note: this movie has a scene of flashing lights that may affect viewers who are susceptible to photosensitive epilepsy or other photosensitivies.